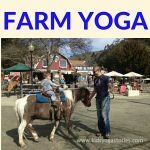 Why Do You Love Teaching Yoga to Children? 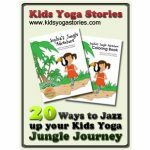 This “passion” post is part of our monthly theme at Kids Yoga Stories. I have been reflecting on the love of teaching yoga to children. Our family is creating a yoga practice together, making it up as we go along. At home. In the park. At the airport. Wherever we go, there's … [Read more...] about Why Do You Love Teaching Yoga to Children?